Having your parents go from the strong people you remember to people relying on your care is a hard transition to cope with.You may feel confused, exhausted and frustrated — that’s natural. But, if you keep these three tips in mind, coping with parental changes can be manageable. Just as you aren’t able to think or move as quickly as your kids, your aging parents are slowing down — and it’s more frustrating for them than it is for you, as they have lived capably for so long and now they are forced to rely heavily on others. That’s why it’s important to be patient with them as they come to terms with those things they can no longer do. The transition from them being the caregivers to being the ones that need caring for is a hard one for everyone involved. So be patient, both with them and with your own emotions, giving everyone time to adjust. As your parents get older and their short-term memory fades, you may have to tell them the same things multiple times. For the emotional well-being of everyone involved, avoid statements that begin “Remember…” or “I told you…”; the fact is, if they are asking again it is because they have no recollection of the first answer. Just as you didn’t scold your toddler for not making it to the bathroom in time when he was just beginning potty training, it isn’t fair to scold your aging parents for their inability to recollect. As human beings, we naturally like to build connections with people; it may seem, when people you love forget about important things you have discussed, that they don’t care, and it can be very upsetting. But it’s important to remember that these changes are out of your parents’ control. It would be great if they had perfect memories until the very end, but that just isn’t how the brain works. It’s important to accept that and make the necessary changes to accommodate it. 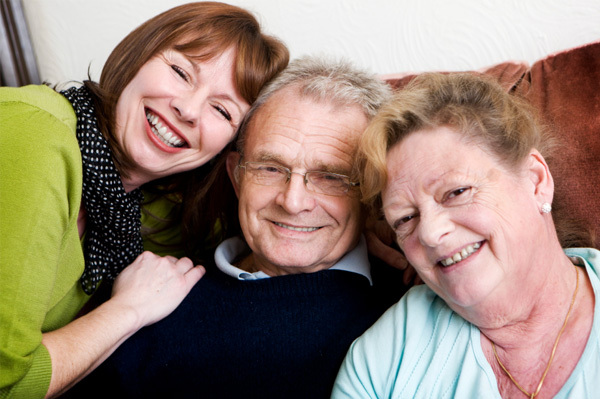 The golden rule is the perfect go-to when it comes to dealing with aging parents. None of us can escape getting older; one day, we will be where our parents are and we can only hope that we will be treated with kindness and respect. Whenever you get frustrated with the changes your parents are going through, just ask yourself, “What would I want someone to do for me if I were in their shoes?” This will give you a far more sympathetic perspective from which to plan your words and actions. Generally, there’s no need to deny your emotions. Your feelings are natural. All you can do is breathe, smile and work your way through them as best you can.